I wanted a digital clock, volt gauge, and gear position selector in my line of sight while riding. WHile I could have just stuck them someplace, I decided a dash build was in order. Need to let it dry overnight, then some sanding, then mounting the three instruments... Remove them and paint dash black.. reinstall and see how I like it. That's an interesting way to go about it. When I did my dash swap I pondered for quite a while how to do it. I kind of looked everywhere for a thermoplastic that had the right texture to look natural as a dash. Finally found just the right curved textured plastic piece that was like a CD case or similar. Wouldn't a cardstock mock up have been easier? Then just trace it onto the lexan? Does anyone know where I can get a white face plate for my Tacho. My bike is an 05. Here in Oz it is almost impossible as no one is prepared to have a go as my bike is too old, or the cost is exorbitant ! No need for card stock.. you trace the cover right onto the sheet product...and then cut to fit. Kenmoore, you need a whole new tach face? Someone on here found that just printing out the stock tach on a printer onto thin plastic worked. (or something like that). Otherwise a wrecked dash on ebay would be you best bet. Someone on eBay sells white clock faces for the VTR. Interesting find. However, Kenmoore's needs are for a 2005. All he has to do now is write to him and see if he makes them for earilier models. Nice Job by the way Erik. This is what I like about the '02 + model years, they have this feature molded within the cover case. It has allowed me to install my volt meter and shift gear selector (future project) nicely. I really like the gauge layout, size, readability of the early cluster so have been very warly of changing it.. Choosing instead to add to and modify. But the later cluster does have the clock built in, and the capability for a fuel gauge. so I picked up a later cluster last month to start working on. The angle of the picture is not that good to allow you to see the back. All though it is not as big as you will be making, there is enough space on both side of the tach to place small sized displays. 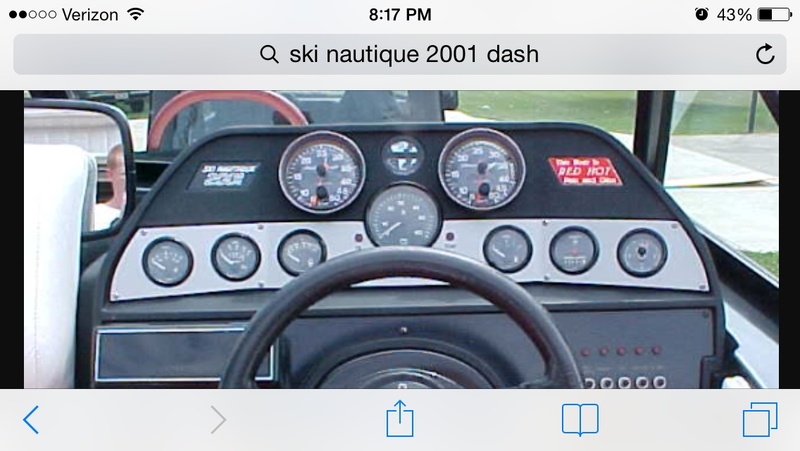 I have installed my volt meter on the left of the tach, and, will install my GPI to the right. I must admit, my volt meter is just a LED type, with color, and flash mode indication. But, even a small analogue indicator would fit I am sure. If you do go with this guage, what are your intensions on wiring harness and in tank fuel sending unit ? I have a late model wiring harness that will be used to make an adapter from new gauge to old wiring harness plug. That way the new gauge and old gauge will remain plug and play. I'm going to get a late model tank with sending unit. and keep my pristine 98 tank as a spare. Annnnnd...... back to the drawing board. The Epoxy i choose did not adhere chemically to either plastic. So it came off after curing with not much of a flex and tug at all. I was concerned about this and why I had planned on mechanically attaching the carbon fiber version to my other housing cover. I will make some small aluminum brackets for this one and attach it for now. 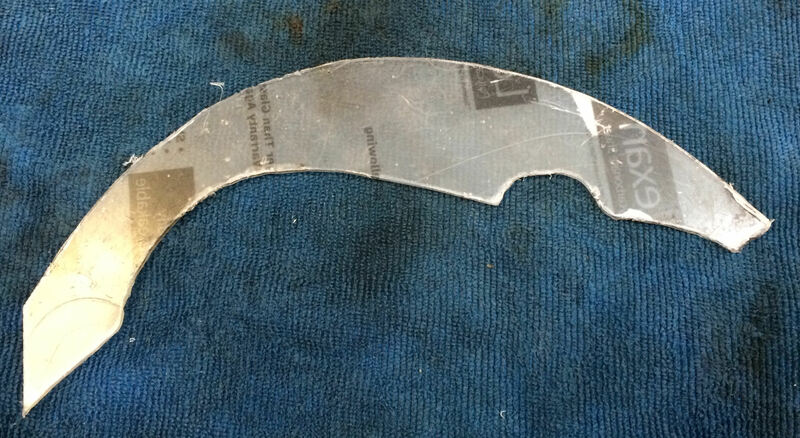 I ordered the CF sheet and a piece of angle to make the dash and brackets from. I am going to use rubber well nuts on the upper end of the angle to screw to, and inside the cover for the lower end of the bracket. I'm thinking this will give some vibration isolation. As the CF bracket will be flat on both ends, and the cover is curved at the attachment point. I'll use some black RTV to "adhere" the bracket to the cover in addition to the screw mechanically holding it in place. True. Even their website only shows apllications for the older clocks. Maybe they can do something for the newer ones, but that may get too pricey. I have messages the vendor and am anxiously waiting for a reply. 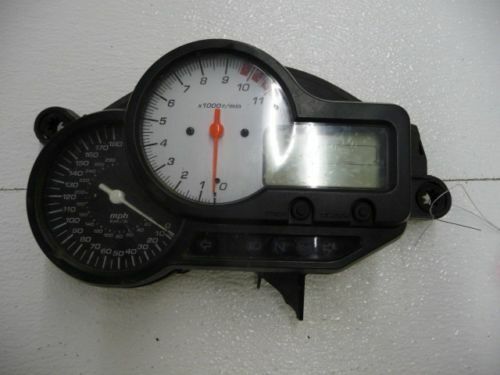 With the later model gauges there is plenty of room either side to mount ancillaries. I have a mechanical oil pressure gauge mounted to the right of the Tacho. Fits as snug as a bug! So tell us Ken how really Hornee you are ?! Actually scratch that. I really don't want to know. Eric, you don't need a whole new tank to get the fuel gauge, just the float inside, it pretty much goes right in the old tank. You can get one of these real cheap on eBay. Yes it is. Carbon look overlay that I got from Spain. Been on for 3 years and very convincing. The Oil Pressure gauge that you are referring to is actually an oil temp gauge I think. this is my oil temp gauge, works a treat. Hornee is a brand of motorcycle clothing here in OZ! I smell a tank mod coming up. A few extra liters wouldn't hurt. 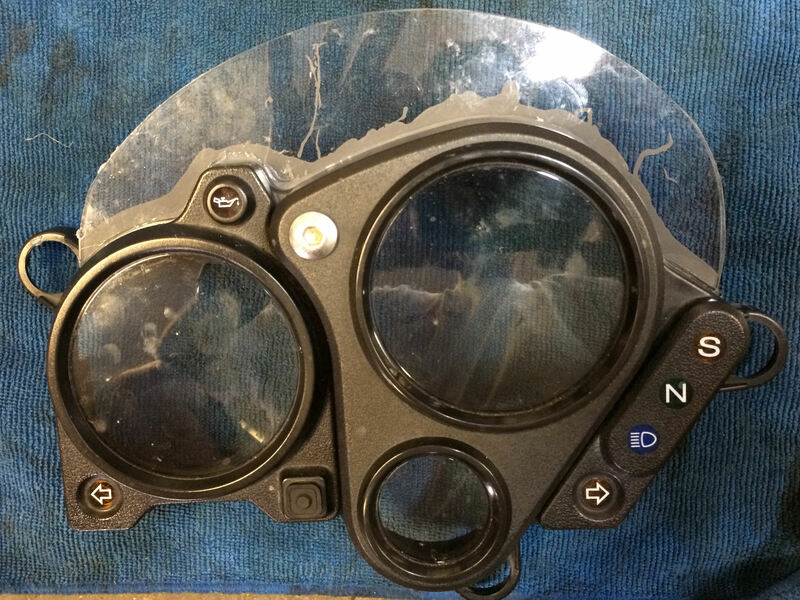 Have you thought of using a thermoplastic like polypropylene or ABS instead of something as hard as lexan? Much more workable as well as plastic weldable. It was just a cheap proof of concept, not an end state.